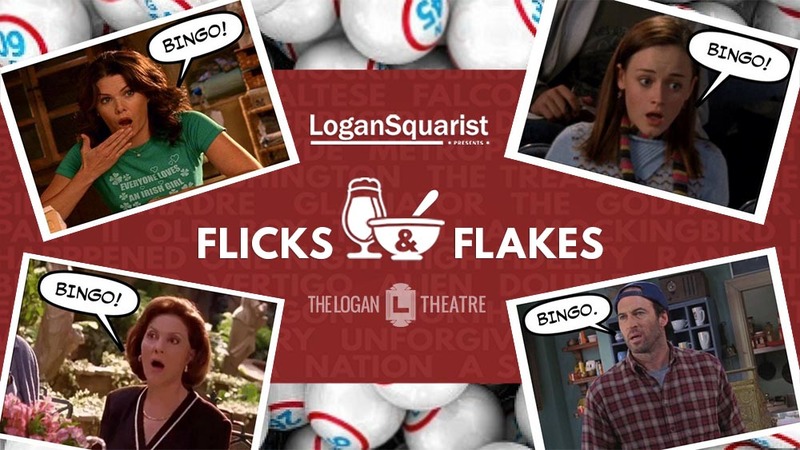 The Logan Squarist presents Flicks & Flakes: The Logan Lounge's monthly binge eating and binge watching event! Binge eat from our free cereal bar and enjoy adult beverages by Revolution Brewing as we binge watch Gilmore Girls! Between episodes, we'll be calling classic BINGO and challenging your memory with Stars Hallow trivia. No cover, but do good for the community! Bring canned food donations to enter the prize raffle which include things from C2E2, Escape Reality, and Revolution Brewing. Bring your favorite non-perishable food items. All donations will benefit Christopher House. No dress code, BUT wearing your jammies will also get you a raffle ticket! Arrive early to secure a good seat near a TV in the bar and lounge areas. Extra seating will be added but it's first come first seated.